With hundreds of parts and fully assembled machines, GovPlanet Europe offers you excellent choice. You can buy and sell Light Medium Tactical Vehicle (LMTV) from any all manufacturers, including brands such as Stewart & Stevenson, Stewart-Stevenson. 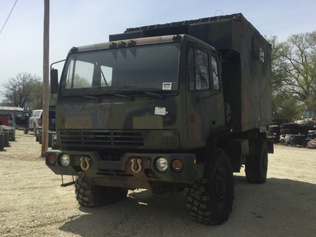 Browse the latest Light Medium Tactical Vehicle (LMTV) available in our auctions, including LMTV 4x4 Cargo Truck, LMTV 4x4 Van Truck.